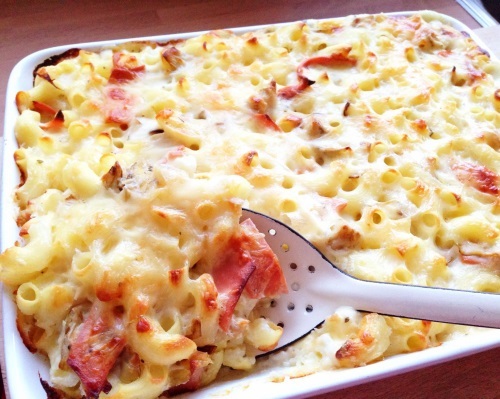 You are here: Home / dinner / Who Invented Macaroni Cheese? 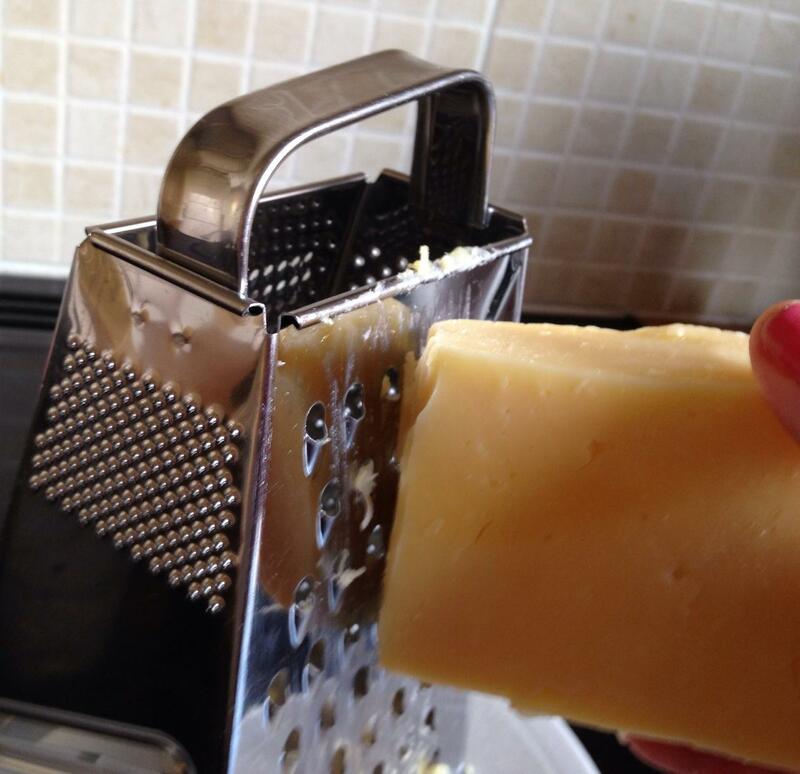 Did you know that macaroni cheese is actually a UK invention? Yep, even though we think of all pasta dishes as being Italian, the idea for macaroni cheese actually came from a British woman hundreds of years ago. We’ll learn more about that later, but for now, let’s make some awesome mac and cheese. 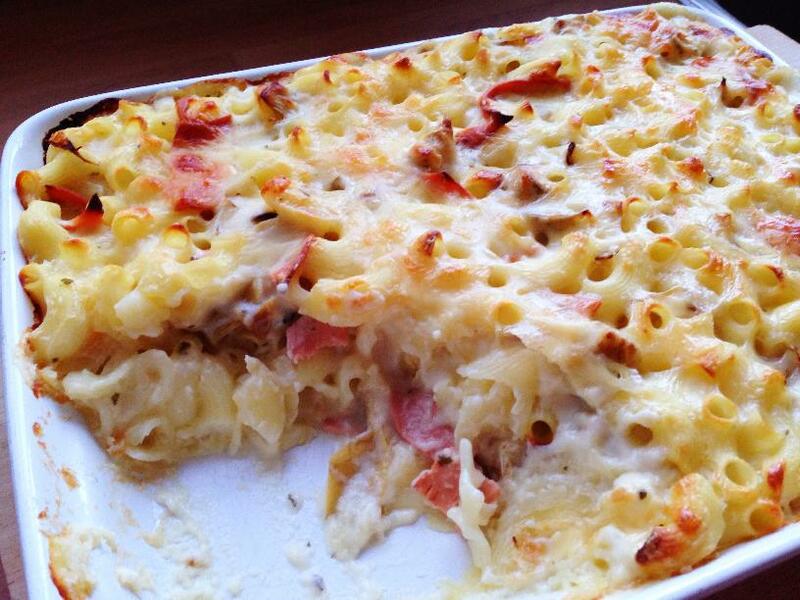 Although in the UK, Australia, and New Zealand we call this dish macaroni cheese, in America and Canada it’s called mac and cheese (or macaroni and cheese), and in the Caribbean it’s called macaroni pie. 2. 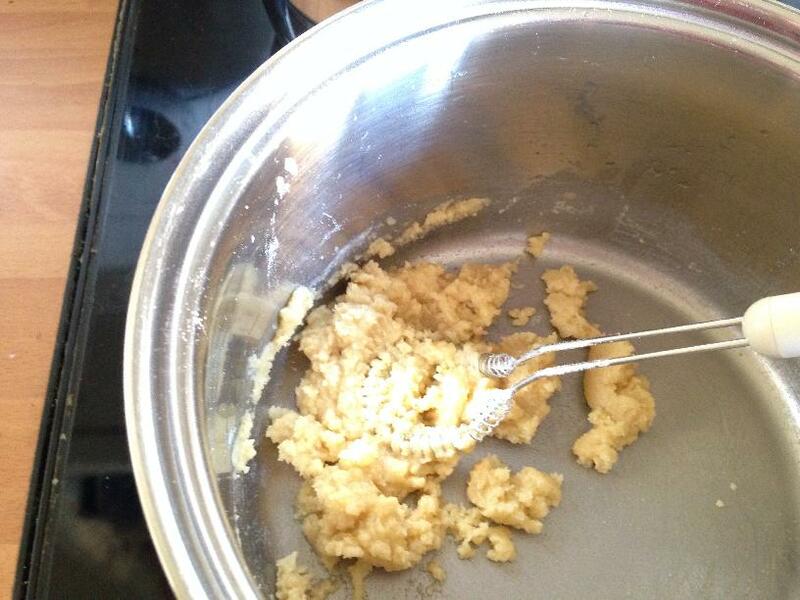 Melt the butter in a medium saucepan and then add the flour. 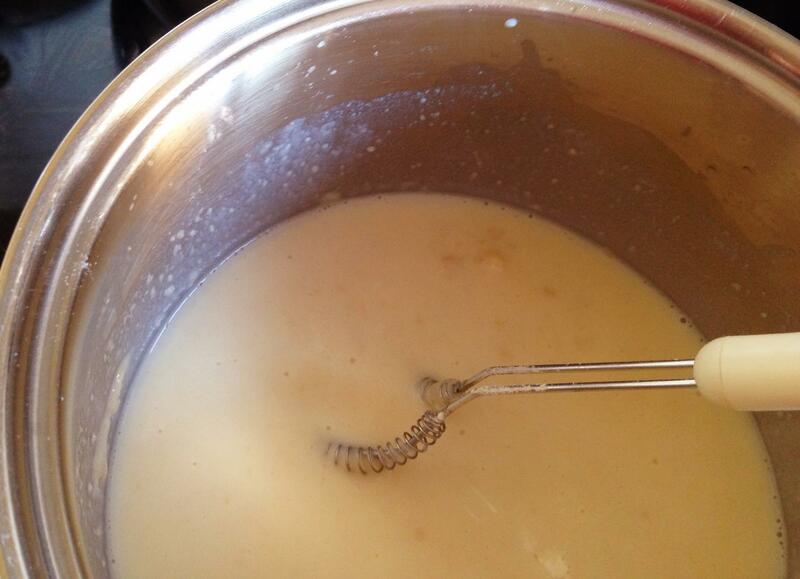 Stir to make a paste–this is called a roux. 3. 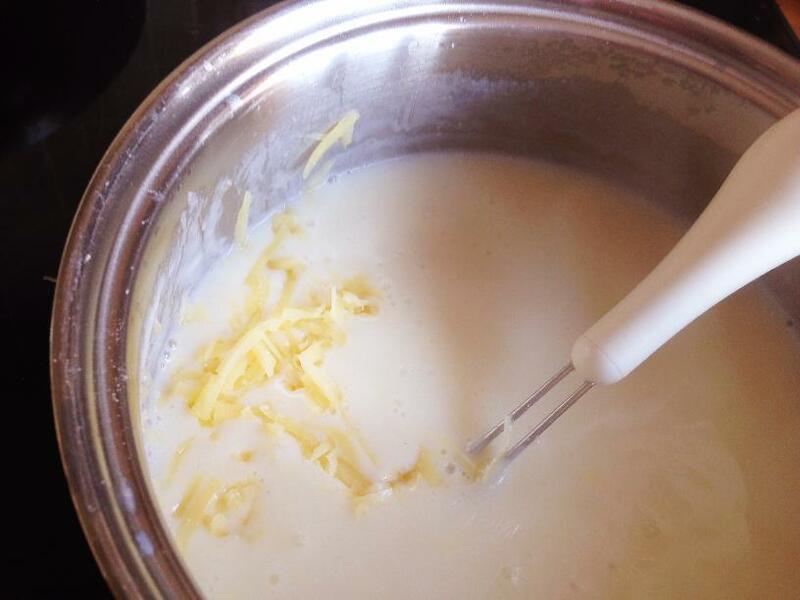 Keep your pan on the heat and add half of your milk BUT only small amounts at a time, stirring well with a small whisk until you get rid of all the lumps. When all the lumps are gone, add the rest of your milk and stir it in. 4. Heat your sauce on a medium-high heat, stirring all the time with your whisk and scraping the bottom of the pan to make sure the milk doesn’t burn. 5. When the sauce starts to thicken, remove it from the heat and add 150g of cheese. Stir in until the cheese has melted. TIP: Remember that the sauce will thicken up when it cooks in the oven and when the cheese is added, so don’t cook it until the sauce is very thick. 6. Preheat your oven to 180c, 350f, gas 4. 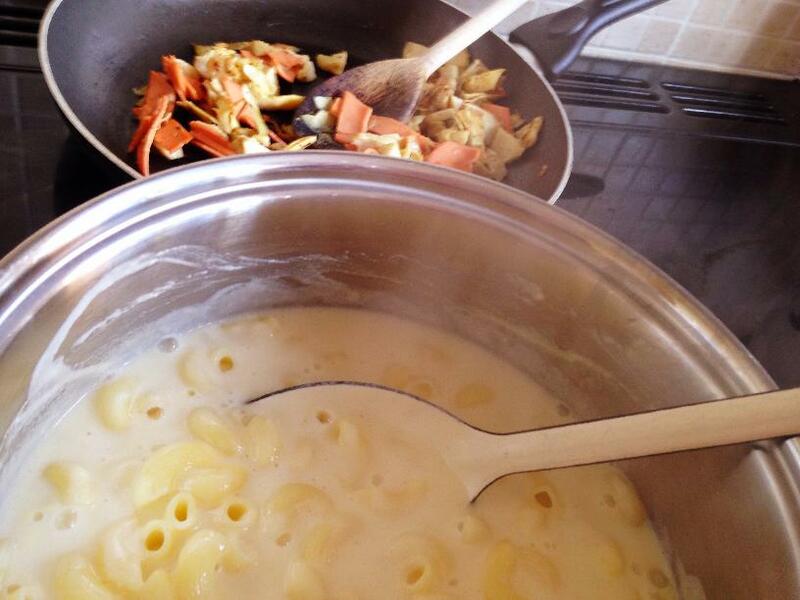 Cook your macaroni in a large pan for around 3/4 of the time it says on the packet. Drain it, put it back into the pan, and pour the cheese sauce over the top (and add your bacon and artichokes now too), and stir it all together. 7. 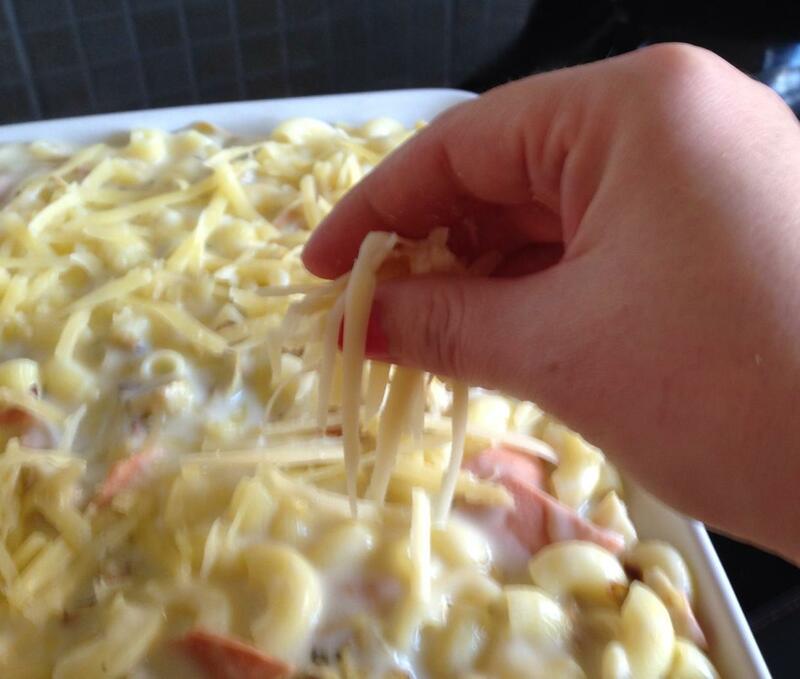 Spoon your macaroni cheese into an ovenproof dish and sprinkle the rest of the cheese over the top. Bake in the oven for 30 minutes. 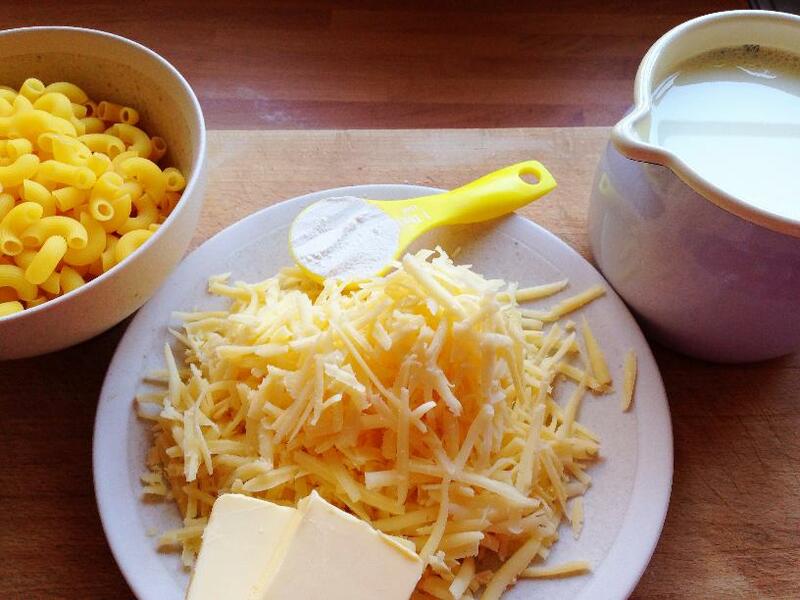 And you have just made the most delicious macaroni cheese–yum! It will be gone in no time. Is Macaroni Cheese Really From the UK? Yes, it’s true! 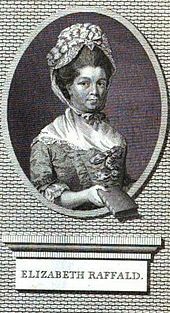 Although there were French dishes with pasta and cheese as early as the 14th century, it was an English writer and businesswoman called Elizabeth Raffald who first wrote the recipe for what we would recognise as macaroni cheese in 1769. Did you enjoy this recipe? Come and like our Facebook page to make sure you don’t miss out on any Mini Yummers recipes and fun.